As an industrial computer source, we are major used computer recycler and supplier to every major country. Exporting around the globe, we have become a leading wholesaler of used computers, notebooks, and monitors. Since 1984 the Used Computer Shop has been in the business of buying and selling used computer equipment. Our many years of experience in the used computer field has allowed us to be an industry leader. Continually expanding our technical ability, our name has become synonymous with quality. This recognition has fostered our dramatic growth requiring the Used Computer Shop to constantly develop our capabilities in sourcing and remarketing. At the Used Computer Shop we are committed to offering the highest quality used equipment for the best possible prices. We stock a wide variety of computer equipment for both PC and MAC systems. Take advantage of our friendly and efficient ordering service by simply giving us a call, a fax, or e-mail. 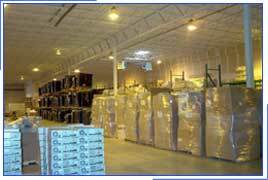 To arrange for an inspection of merchandise at one of our warehouses it is necessary to send us an email or give us a call. 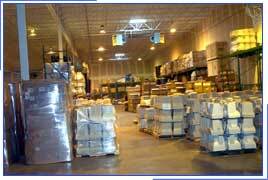 With a combined total of over 200,000 square feet of warehouse space we are capable of providing our customers with a constant supply of bulk computer equipment to meet all their IT requirements. We currently process thousands of monitors and desktops per month. Please send us an email if you wish any further information.